If you haven’t made this Best Salsa Chicken recipe you need to do it today! I love this easy clean eating recipe since it cooks while I am busy working. Make this unique by using your favorite brand or homemade salsa. If you are looking for a super easy and flavorful recipe that cooks in your slow cooker while you are away at work, then our Salsa Chicken is the best option! I just adore a recipe that cooks while I do other things at home or with my family. Using a slow cooker is a perfect way to do this safely. I love using the 6-quart programmable slow cooker option for most recipes. This salsa chicken can be cooked in any size slow cooker, depending on how much you wish to end up with. It is super easy to cut the recipe in half or even double for batch cooking and meal preparation. One of the best parts of this recipe is just how versatile it is in your everyday menu. Since it can be used in many ways, that means you can do one big meal prep on the weekend that spreads out over multiple meals. This is ideal for saving you money, and for saving time. Yes, this recipe is as easy it gets to make. However, you may want to give it a bit of extra something for flavor or texture. Below are some of my tips for when I make this salsa chicken recipe. 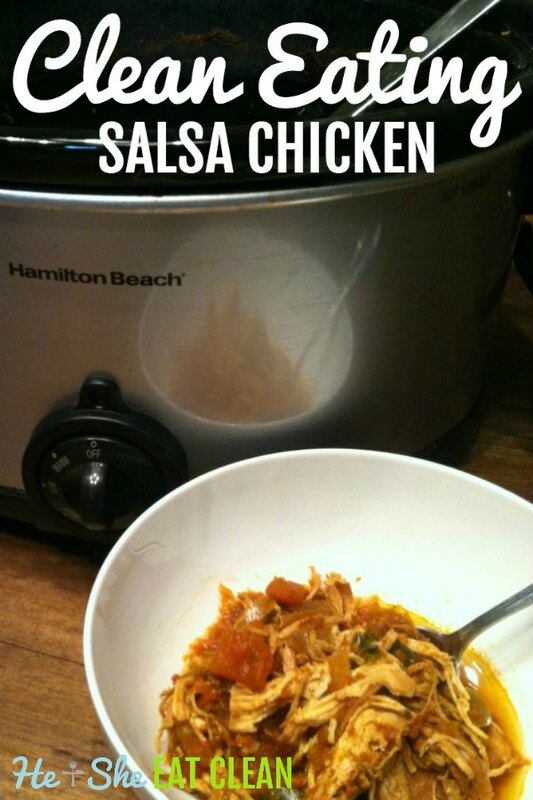 Since I know you will love using your slow cooker for our salsa chicken recipe, I wanted to share even more great recipes. Check out the ideas and recipes below to make your menu easy this week! Make our delicious Best Ever Salsa Chicken recipe as a perfect meal option for busy days. Place chicken in crockpot and all remaining ingredients. After 7 hours, shred the chicken in the crockpot and let it cool before placing it in a container. My favorite he and she eat clean recipe! I’ve made this a bazillion times! Soooo easy and super delicious!! !